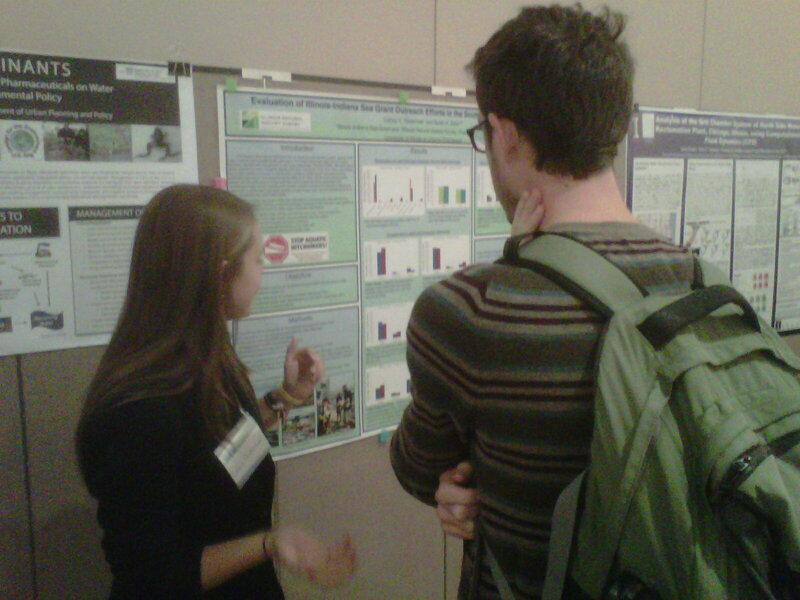 University of Illinois Junior Lainey Pasternak, who interned this past summer with IISG’s Aquatic Invasive Species (AIS) Outreach Team, wrote a guest blog about her experience working with IISG and, more importantly, about an award she received for her work. Lainey writes, “Over the summer I worked to help increase recreational water user knowledge of AIS through survey research and outreach. I designed and conducted a survey to help investigate the prevalence of AIS-preventative behaviors among boaters and anglers, a key demographic in the effort to prevent AIS spread. By the end of the summer, I had formulated a formal research report and academic poster presentation based on the final survey results. All efforts in the research and poster presentation were collaborated with my internship supervisor and coauthor, Sarah Zack. 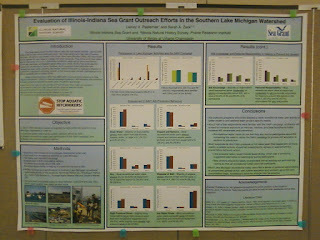 The final project of the internship was a presentation of my poster “Evaluation Illinois-Indiana Sea Grant Outreach Efforts in the Southern Lake Michigan Watershed” at the 2012 Illinois Water Conference. On September 24-25, I attended the Illinois Water Conference at the University of Illinois. After submitting my research abstract and poster at the conference, I was awarded a student scholarship and honorable mention award for an undergraduate student poster. 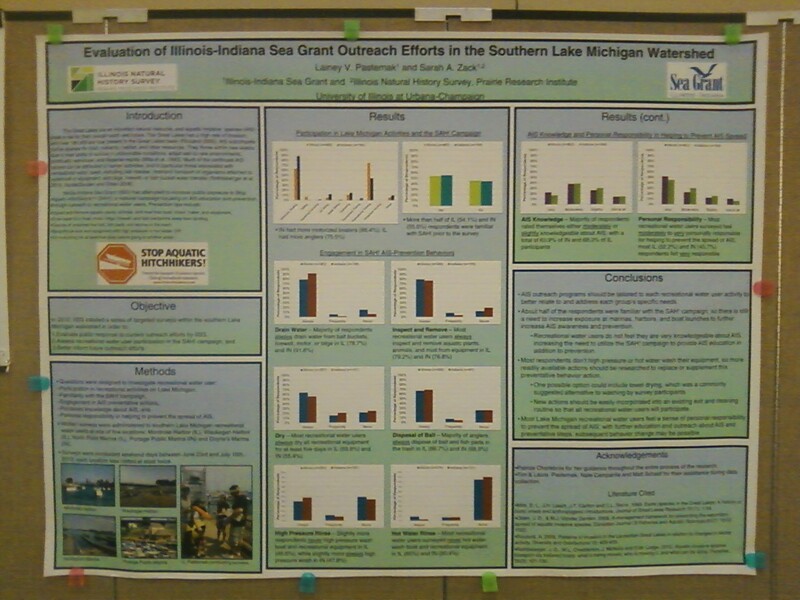 I had the opportunity to present my summer research at the student poster session throughout the duration of the Illinois-Indiana Sea Grant 30th Anniversary Reception, courtesy of the Illinois Chapter of the American Water Resources Association. Among the 30 registered students of the poster competition, I was one of the two conference award recipients, and the only undergraduate to receive mention. Congratulations to Lainey on her award, and we look forward to your continued research and outreach efforts to keep our waters safe.